It is not a secret anymore, that WordPress is the most popular and widely used platform for blogs and websites today. More than 60 million blogs are managed by this Content Management System, so, it is not surprising that WordPress has become a very attractive target for different hackers. 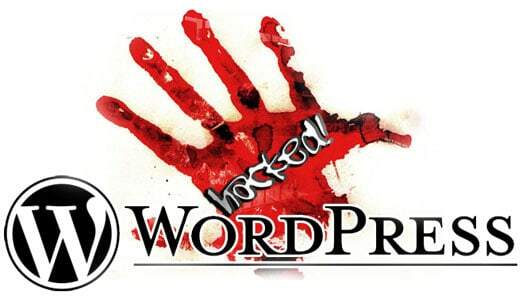 It is sad, but every second WordPress site had been hacked at least once, and the reason was not the weakness of this incredibly popular and free platform, but ignorance of its users. As we know, WordPress is very easy to use, and it does not require any specific technical skills to manage a blog on it; that is the reason many users prefer WordPress, and if you are one of them, and you do not have deep knowledge of HTML, you still should know some tricks that will help you protect your blog or website, and secure it against hackers. These steps are really simple and easy to take, and we are happy to share them with you today to help you improve your WordPress and forget about all potential attackers. So, here we go. Log in, and take a look at the top of the screen on your admin bar. It will tell you if any updates are available, and everything you should do is just to click on the button in order to update everything in a few seconds. There are always some plug-ins or themes on your WordPress, that are not used by you. Well, it is not bad, you just do not need them for your work. Just delete them! You do not need them anyway, but they can become a way for hackers to use in order to get into your blog. Do not give attackers any gaps to reach your platform! As you know, the username “admin” is used by WordPress as a default one, and that is why it should be the very first thing for you to change when you install this platform and start using it. As far as you understand, such a username is the easiest way for hackers to attach your WordPress and reach it. It is not difficult to change your default username: just choose another one to begin your work with WordPress. Certainly, hackers will be able to figure out if your default username was changed or not (we do not know why, but WordPress tells everyone whether this or that username is free or not), but your specific username is the best way to protect your platform and improve your work with it. We do not want to look like Captains Obvious, but we can’t ignore this simple step of security, because so many bloggers and website owners still do not pay much attention to it. Sad, but true. So, NEVER use any dictionary words as a password to your WordPress admin panel. The main trick here is to use the combination of numbers, letters, and special characters. As far as you understand, this trick is not unique to your CMS only; you should try follow this tip every time when you need to secure some important information with a password. 5. What is your log-in URL? Let us guess: yoursite.com/wp-admin! Have you ever though of changing it? You will be surprised, but so many big and authoritative resources have not even made such a simple change to protect their sites from hackers. You can check it right now: take one of your favorite websites and try to reach its admin panel using a default log-in URL. What do you see there? So, just remember: such a standard log-in URL as yoursite.com/wp-admin should be also changed by you to improve the security of your website. A lot of cool free back-up plug-ins are available online now. Do not be lazy, and install some of them, so, if you are hacked, you will always have a chance to back all your information up. Do not show them your WP version! Just hide it, and even if you do not have the latest WordPress version at the moment, no hacker will be able to see that and find out about your vulnerability. If you still have some default pages or comments, they may tell hackers that your site is relatively new, and make it a nice target for them. That is why it is always better to remove everything default from your WordPress. Install WP Security plug-in. It has many useful features, such as blocking IP addresses and adding them to a blacklist. So, if someone tries to log into your website many times, you will know about it at once, and you will just block this IP address. You will be surprised, how many people try to reach your WordPress platform; so, do everything possible to protect it from them. Alex Strike is a freelance writer and passionate blogger of essay-all-stars.com – the best online service to help students reach their academic goals. This entry was posted in WordPress and tagged wordpress, Wordpress Security on November 4, 2013 by The Core Team.